USA sanctioned tournament. USA sanctioned tournament. (12 after 3; 8 after 5). Can bat everyone on Saturday – open substitution. USA rules on Sunday – courtesy runners are bench players. Time Limit – 75 minutes (pool play games can end in a tie). 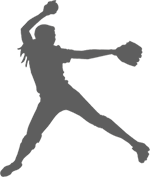 U10 Division – 5 run per inning limit both Saturday and Sunday. Coin flip for home team – home team is official scorekeeper. Umpires’ decisions are final – NO PROTESTS. Coaches are responsible for conduct/sportsmanship of players and fans. Individual medals for 1st and 2nd place in each division. Tournament Director reserves the right to change tournament format. Please clean up your dugout after each game and keep the park clean. Concessions are available at Sertoma and Summit Fields. Pool Play Schedule will be posted on the website & like us on Facebook for updates and weather issues.